révélateur is proud to announce its first magazine cover! 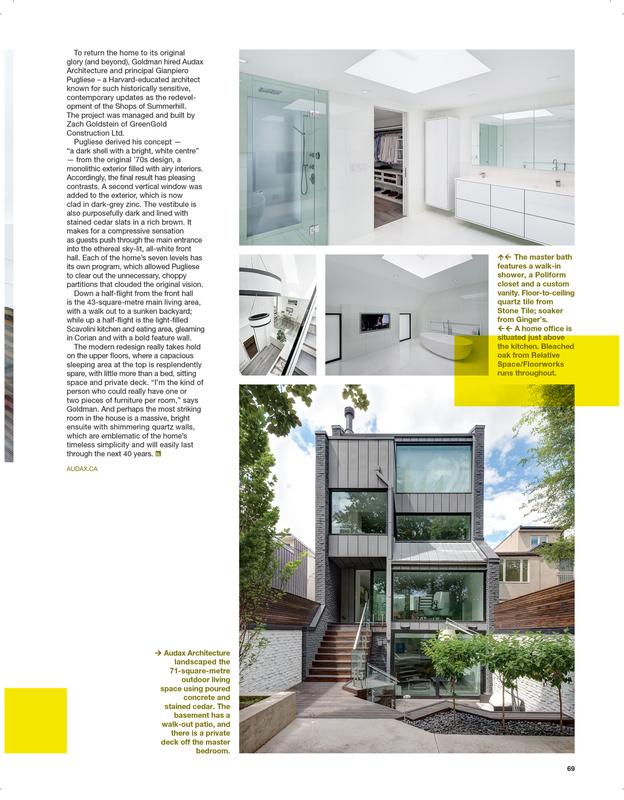 Our shoot of the Yorkville residence by Audax Architecture was featured in the the Spring 2015 issue of Designlines magazine. Interestingly, this is our first ever commissioned project and turned out to be a client favourite from day one. This reno of a 70's modern house turned a very dated dwelling into a sleek, contemporary, state of the art dwelling that reflects the personality of its owner, a 30-something successful entrepreneur from Toronto.